BINVIC offers a fully-integrated project management service for multidisciplinary engineering and construction projects across Africa. 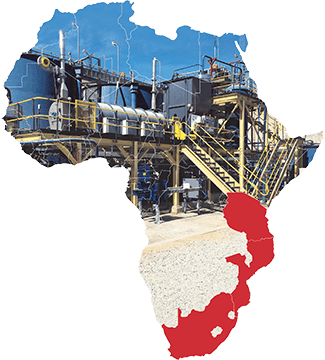 We mainly operate in Tanzania, Mozambique and South Africa, where we manage the total scope of a project life cycle for our clients in the mining and oil & gas sectors. Our experience and expertise span the engineering disciplines of building, civil, structural, roads & earthworks, as well as mechanical & electrical. BINVIC’s project management solution spans the complete project spectrum, from planning and feasibility, through to the provision of personnel and resources, project execution and commissioning. What sets us apart from others in our industry is our hands-on, personal approach, that sees us fully engaging with the people and the projects we manage, as though they were our own. “Binvic’s many strengths include their sound business practice and honesty. It’s been a pleasure working with their management...” Jason Bergmann, Managing Director, Small Business Solutions Ltd, Dar es Salaam. BINVIC offers civil-construction related project management services to clients across South Africa, Tanzania and Mozambique. We are registered with the CRB (Contractors Registration Board) as a Class 1 Contractor for Civil and Mechanical disciplines in Tanzania, where we operate from our head office in Dar-Es-Salaam. In South Africa, we are a B-BBEE Level 4 company with offices in Richards Bay and in Rosebank, Johannesburg. In Mozambique we operate as Binvest Soceidade Unipesoal Limitada, and have offices in Maputo. BinVic offers construction-related project management services to clients across South Africa, Mozambique and Tanzania. © Copyright 2017 BinVic (Pty) Limited.